Iida Ruishalme holds a M.Sc. in Biology from Sweden, has work experience from environmental chemistry, diabetes research, and pharmaceutical bio-bank labs. She lives in Switzerland where she writes both fiction and science. You can follow her at the blog Thoughtscapism. In this piece Iida explores the idea of the United Nation’s “support” of small-scale organic farming over the use biotechnology. In a very real sense this was a collaborative effort as Iida learned much from her participation in various Facebook groups. Therefore the author would like to extend her thanks to the many scientists, farmers, and interested lay people at GMO Skepti-Forum and Food and Farm Discussion Lab for their participation and valuable pointers in dissecting topics of contemporary agriculture. Up till a few years ago, I used to make the natural assumption that organic farming must be better for the environment. Since then I realised that I should be relying on scientific evidence, not merely assumptions. On several occasions I’ve asked people (scientists, organic farmers and supporters) to point me in the direction of evidence on the environmental impacts and sustainability of organic farming. So far that quest hasn’t been very fruitful – I haven’t learned of many scientific papers that would really support that view. What I have frequently been referred to are a few different kinds of documents instead. The United Nations Conference on Trade and Development (UNCTAD) 2013 report is one of them. Does the UNCTAD report constitute good evidence for the benefits of organic agriculture? This report, as well as similar earlier UNCTAD reports, have been presented – in the media, and by organic supporter organisations (like the Swedish Society for Nature Conservation) – as the word of United Nations. Example headlines: “UN Report Says Small-Scale Organic Farming Only Way to Feed the World” (Technologywater, a site on aquaponics, self-reliance, and water security – the piece was re-posted on the Huffington Post) and “United Nations Calls for an End to Industrialized Farming” (truth-out.org). Here is the first hiccup. Despite the claims, this report does not actually represent the views of the UN or the UNCTAD. These myriad reports are presentations made by collections of individual authors. This particular 2013 report is written by a group of organic advocates – these are not the words of institutions, or UN, or scientific organisations, or even agricultural organisations. Many of the individuals behind this report are working for organic companies or activist organisations, like SEKEM (organisation and trading company driving biodynamic farming and other activities according to Steiner philosophy, called Antroposophy); Heinrich Böll Foundation (a think tank for the German Green party); Regionalwert AG (German organic local food company); and Grolink (Swedish consulting company, motto: “Serving the organic world”); ISIS, (Institute of Science In Society – promotes homeopathy, water memory, and chinese medicine, spreads anti-vaccine articles); and Pesticide Action Network (which makes rather broad claims, “Pesticide corporations distort information to make their products seem safe and necessary”), to name a few. Among the scientists that do feature amidst the report authors is New Zealander Jack Heinemann, who has a track record for questionable claims, rejected also by New Zealand and Australia’s food regulatory agency FRANZ. More about Heinemann’s far-out claims in Science-Based Medicine and Biofortified. The group of authors seems heavily weighed by the presence of advocacy groups. Still, the personal views presented in this report could reflect scientific evidence, and the judgement should be made based on scientific evidence – not based on their word alone. Giving this (or any other UNCTAD) report as a reference for a point about organic or conventional farming, however, seems more an obfuscating than a clarifying tactic, as it requires the reader to sift through some 300 pages of different individuals’ views on various topics (from trade, forestry, regulation, food waste, to agriculture, with many subtopics on special cases) instead of focusing on presenting the key evidence. Why turn to UNCTAD to begin with? Should one be seeking for an organisational statement as an indicator of the usefulness of an agricultural method, if you stop to consider it, the Conference on Trade and Development might not really be the first UN agency to turn to. There are, however, three other UN agencies which deal with questions relevant to agriculture: the UN Food and Agriculture Organization (FAO), the World Food Program (WFP), and the World Health Organization (WHO). Some articles about this UNCTAD report leave the UN department unnamed, claiming simply that the United Nations have announced small scale organic farming to be the solution to feeding the world – although neither UNCTAD nor any of the more agriculture-relevant UN agencies have made such claims. What comes to the claims of the individual author’s in this report, I’m afraid some seem to be making clear leaps of reasoning. As an example, there is a section in the UNCTAD report about the supposed benefits of biodynamics – that is, benefits of treating the soil as a holistic spiritual organism (see the report for the section about SEKEM). One of the first sustainable agriculture movements, it treats soil fertility, plant growth, and livestock care as ecologically interrelated tasks, emphasizing spiritual and mystical perspectives. Proponents of biodynamic agriculture, including Steiner, have characterized it as “spiritual science” as part of the larger anthroposophy movement. Key methods of biodynamic farming include eight essential preparations (see table). Other alternative practices not discussed in this review have become part of the biodynamic movement, including use of cosmic rhythms to schedule various farm activities and image formation to visualize nutritional quality of plants. You can read more about the cosmic rhythms planting calendar at the Biodynamic Association. Let’s just say that the individuals writing this particular UN conference report do not necessarily require sound scientific (or even non-spiritual) grounds for the methods they advocate for. Luckily most of the report is not about biodynamic farming. Most of these cases presented in the UNCTD report look at subsistence farmers in the developing world. This is a very special scenario, where people have extremely limited resources, and are living from hand to mouth – nothing comparable to the more expensive luxury food situation that organic label stands for in the western world. In chapter IX the author makes an interesting combination of arguments. Firstly: organic farming is better in the developed world because the farmers can ask for a better premium for their product (luxury product). Secondly: in the developing world organic is also better because of higher price. But one may ask if more expensive food really is the key for the developing nations food situation? Another author makes just this contradictory point in his conclusions on page 209 – that it would be important to lower the price of food, which the poor use most of their meagre incomes on. The author of chapter IX lastly says organic is better in the developing world because it has better yield. Interesting. Why would organic give better yield in the developing world, when its yields are consistently lower in the west? Looking at some of the trials in this report where the authors claim a yield increase (with their respective methods) as high as 180 %, it is important to note that it may not be that hard for organic production trial to yield the same or to outperform conventional subsistence farming, when that subsistence farming has limited access to improved seeds, fertiliser and other inputs – small improvements or access to better materials could make a world of a difference. If you compare the yield differences presented in these trials to the body of scientific literature, the results are night and day. Reviews of conventional and organic farming in controlled – comparable – situations find that organic yields are consistently a third smaller than conventional (depending on the review, 20-50 % smaller – see more in Delving deeper into the roots of organic, or a review in Nature). An important thing to keep in mind: the lower the level of production to start with, the easier it is to show a percentage gain, even from a small actual gain. Since these are very poor conditions farming, it is not perhaps so surprising that there is an large variance in yield. What this report is mainly discussing is that the subsistence agriculture of developing nations doesn’t work well, and is in need of improvement. It doesn’t actually look at developed nations or what we know as conventional agriculture. Ignoring all this, and using these individual author’s views to draw conclusions about agricultural practices in the western world would be lopsided at best. How does UN view the role of biotechnology? This report also makes very little mention of biotechnology, and when it does (in one of the chapters by Jack Heinemann, the scientist with far out claims), they are introduced to the reader in the form of a blanket rejection (page 203). The argument is: we still have problems, ergo, biotechnology has not worked. It should not be used. This is rather interesting. Options such as Agro-ecology and climate-smart agriculture should be explored, and so should biotechnology and the use of genetically modified organisms, FAO’s director-general said, noting that food production needs to grow by 60 percent by 2050 to meet the expected demand from an anticipated population of 9 billion people. “We need to explore these alternatives using an inclusive approach based on science and evidences, not on ideologies,” as well as to “respect local characteristics and context,” he said. This is all we should ask, and all that I am trying to do – explore farming methods based on the science. We must look at the evidence instead of relying on any ideology – including the ideology that whatever ‘natural’ means, that must be best. 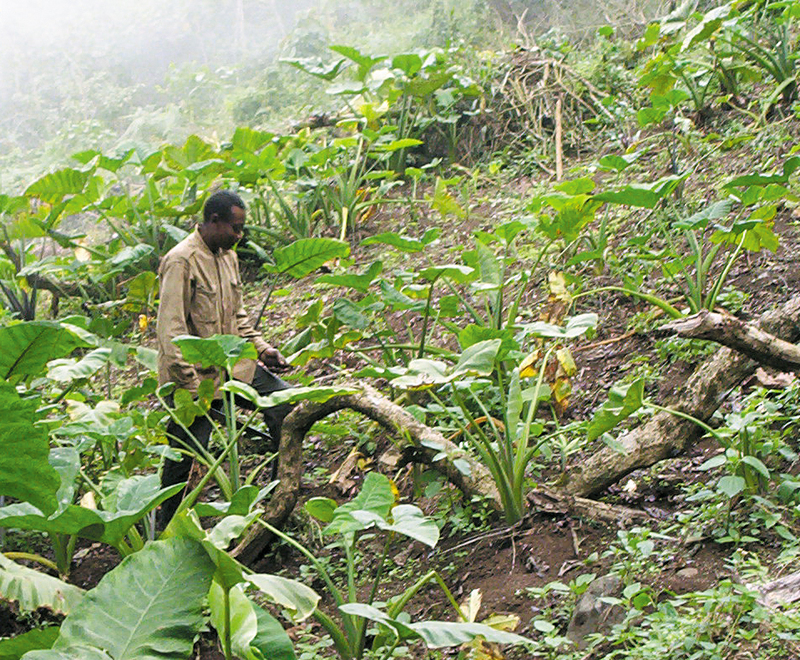 Subsistence agriculture on small plots of land perpetuates the vicious cycle of poverty. Small-scale is not a solution to the developing countries agricultural problems. Small scale is the status quo, out of necessity. The necessity of constant farm labour is keeping the population from seeking education and other work. It requires that a majority remains as farmers, their efforts barely fulfilling the needs of their families. Their children can’t go to school if they have to help out on the fields to survive. This is the cycle of poverty. For those interested in best agricultural practices from both environmental and humanitarian points of view, the FAO’s work includes projects such as Sustainability Assessment of Food and Agriculture systems (SAFA). Their tool (see the image below) presents the many important aspects which should be taken into consideration when concluding whether a farming style is sustainable or not. Organic farmers, just like all others, should strive to show concrete evidence of benefits or shortcomings concerning factors like human safety and health, climate change and energy, land, accountability, product quality and information, and so forth – not rely on the assumption that their naturalness will automatically result in greater sustainability. Having a mission which includes sustainability principles is not evidence of sustainable practice. Mission statements can be used to project an image of sustainable practice beyond the actual effort of the enterprise. FAO tool for Sustainability Assessment of Food and Agriculture systems (SAFA). The lined purple area gives a simultaneous overview of all respective indicators, giving an idea of overall sustainability. The further out to the green (red-organge-yellow-green), the better the impacts in each aspects. Excluding the mysticism-based farming ideas, and the general antagonisation of many modern technologies by the organic labels, there may still be interesting research into the organic methods in subsistence farming conditions included in the UNCTAD report. If such studies are included (the reference list is long and much of it not scientific papers), looking at them in the context with all the other evidence is the objective way to evaluate farming methods. Looking at relevant science – and agricultural organisations’ actual views on these questions – is a better start than merely relying on the conclusions of these individual authors. In other words, if someone presents this report as important evidence, the question we really should be asking is: is this the most relevant evidence that can be found? Why are we not looking directly at scientific reviews or statements from agricultural organisations? Looking at the body of current evidence, scientists have found reduced environmental impact, reduced GHG emissions, and better situation for the farmers as result of biotechnology. When you combine that with the scientific consensus that GMOs are just as safe, and in some cases nutritionally superior to their non-GMO counterparts (see more at Biofortified or Genetic Literacy Project), it is clear that the organic vision is quite unfortunate in its reliance on ideology rather than evidence – what comes to health and environmental questions. As a marketing tool, however, its natural image is increasingly popular. My criticism of organic, what comes to its reliance on ideology, does by no means suggest that all organic methods would be bad. I believe the great majority of farmers want to do what’s best for their land, crops, and consumers. Organic farmers do this by making good use of important methods like crop rotation, Integrated Pest Management (IPM), and cover crops, for instance – methods which are supported by scientific evidence and have documented environmental benefits. This does not necessarily single organic out as better than non-organic, however, as these methods are used by non-organic farmers as well. The USDA tells us that the majority of cropland in the U.S. is farmed using crop rotations, and that IPM has been incorporated at over 70 % of US farms since the year 2000. Cover-cropping on the other hand is not very widespread – according to USDA, for various reasons, only 3 to 7 percent of farms use cover crops. The majority of these farms, by necessity, are non-organic, as organic farms account for less than 1% of the farms in the US (roughly 14,000 organic farms, or 3.7 million acres vs about 2 million farms all in all, or total 914 million acres). A large meta-analysis of European research finds that organic farming compares favourably what comes to soil organic content, but its drawbacks are greater land use and higher nitrogen pollution. There are drawbacks and benefits to every method, and only careful evaluation will help us discern them. Whenever we make a specific claim, it’s important to remember that we should not assume, but instead try to look for good sources of evidence that confirm or reject that claim. I try hard to follow that principle. I am here for the evidence, and want to find the best way for humans, animals, and nature on this globe to go on living together. I am sure we are all on board with this sentiment – it’s an important common ground, one that we should never forget.